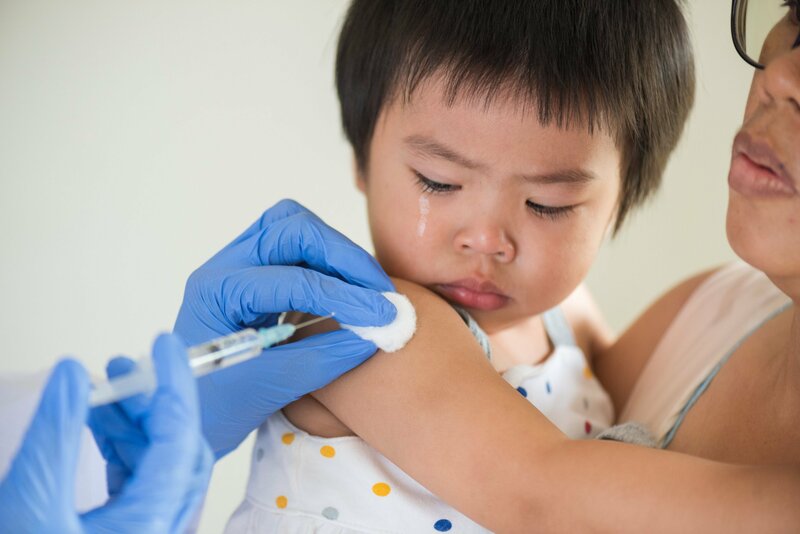 One of the most frustrating misperceptions in our many studies on what people commonly get wrong is the enduring myth that vaccines pose a risk to healthy children. It’s particularly maddening because it has direct and long-lasting consequences. Public Health England recently warned young people to look out for symptoms of measles before attending a music festival in Essex. This was in response to 12 cases being identified in the county since July, way up on usual numbers. The rise reflects a broader trend. Measles cases in Europe increased fourfold in 2017, affecting more than 20,000 people and causing 35 deaths. In the UK, the rise in cases is often among young adults, who were less likely to be immunised as children during a period of vaccine concern sparked by Andrew Wakefield’s now completely discredited claims that the MMR vaccine caused leaks in the gut that went through the bloodstream to the brain. But new doubts keep being layered on, with points about freedom of choice from Italian political parties muddying the waters, and more than 20 tweets from the US president, Donald Trump, suggesting a link. This is despite many reviews that fail to find any link, including a 2014 meta-analysis of records from over 1.25m children. Why do we fear vaccines? So why do three in five people across these countries feel unsure or believe that there actually is a link between some vaccines and autism in healthy children, despite the claims being so widely discredited? It is partly because it has many of the ingredients that drive conspiracy theories. First, it’s a highly emotive issue – there is little more emotional than the health of our children. We treat information differently when we are in highly emotional states, being more sensitised and less considered or rational. Second, it involves medical complexity and requires an understanding of risk, which we really struggle with. In particular, we need to understand the distinction between hazard, which is the potential for harm, and risk, which is the probability of that adverse outcome actually happening. For example, there is an incredibly small but real chance that a vaccine could aggravate an underlying mitochondrial disorder, which has been linked to regressive autism in a miniscule fraction of children. There are US court rulings that we could legitimately take as evidence of this being a hazard, but they are vanishingly rare, and the risk is therefore effectively non-existent. But that is a difficult point to communicate. In addition, the communications we do see on vaccines are often actively unhelpful, with sections of the media keeping these stories alive. This does not just mean television shows or articles that give space to those who make the case for the vaccine–autism link without providing space for counter claims. Then there is also a more subtle effect from “balanced” reporting. This is where a media item says that while a credible source disagrees with a position, some others still believe it. There is increasing evidence that this apparent balance actually serves to polarise, because we have directionally motivated reasoning, where we pick what we want from the evidence. Cass Sunstein, in studies on reactions to contradictory information on climate change, has called this “asymmetrical updating”, where people take the information that fits with their views, and ignore the counter evidence. The narrative across all these sources is also important. Stories stick with us, and there are a lot of individual case study claims in the vaccine–autism link. Jenny McCarthy, the model, actress and television presenter, is the highest profile “autism mom” and regularly explains how she’s told by “thousands” of other parents how, following vaccination, “I came home, he had a fever, he stopped speaking, and then he became autistic”. Elevating these stories to be on a par with representative evidence, McCarthy says, without a hint of irony that “parents’ anecdotal information is science-based information”. The contrast with early days of vaccines couldn’t be greater. When Jonas Salk announced the results of his polio vaccine tests there were 16 television cameras filming the dry, academic presentation, relaying the outcome to 54,000 physicians across the country – judges even suspended trials so people could celebrate the results. It was as if a war had ended, said one observer.